Motorola Moto M Flipkart Sale, Price in India, Specification, Features: The Lenovo owned smartphone giant; Motorola has launched its latest phone named Moto M on Wednesday. It goes on sale on Flipkart starting from Thursday. One of India’s most popular e-commerce site, Flipkart is offering exclusive offers and discounts on this product. The MotoM is available in two variants based on its RAM and internal storage. One model has 3 gigs of RAM and 32 GB internal memory while the other one carries 4 GB RAM and 64 gigs of internal storage. Motorola Moto M price in India is Rs. 15,999 and Rs. 17,999 respectively. With the exclusive deals, the online store made the deal look very lucrative. Flipkart is giving a discount of up to Rs. 15,000 on an exchange offer in which the customers can swap their old phones for the new Moto M. The discount amount will depend on the type of phones being exchanged for the new one. Moreover, the site is offering an additional Rs. 2,000 off on the regular exchange discount too. Check: OnePlus 3T Amazon Sale. Other deals include 5% off on using an Axis Bank Buzz credit card and Rs. 1,000 cashback if anyone purchases the smartphone using a Citi credit card. Also, the EMI options are also available starting from Rs. 776 per month. For 64GB model, the EMIs start at Rs. 873 per month. All the EMIs are available with all the major banks across India. If a buyer purchases Motorola Pulse 2 wired headset and a chevron shock proof case along with Moto M smartphone, then he/she will be entitled to a discount of up to 32 percent on the former two things. Motorola has produced MotoM as its very first all-metal phone. 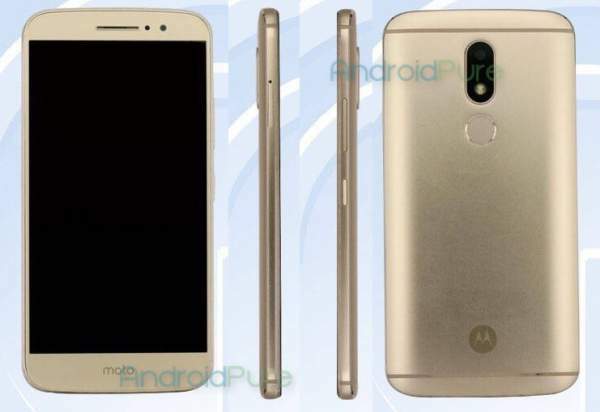 Motorola Moto M features include a fingerprint sensor and Dolby Atmos support. Along with it, MotoM sports a 5.5 inch IPS display with 2.5D curved glass and FHD with 1080×1920 resolution pixels. It operates by the 2.2 GHz quad-core MediaTek Helio P15 processor. On the connectivity front, it supports Dual SIM (Nano both) and other standard features. It comes with Android 6.0.1 Marshmallow OS. However, it has a disadvantage as it comes with a hybrid SIM slot. It means either you can use two SIMs at once or one SIM and one Memory card at a time. However, the phone will support microSD cards of up to 128 GB. Regarding the camera, Moto M comes with a 16MP rear shooter which has phase detection autofocus (PDAF) and an 8 MP front camera on the front side. The Motorola Moto M smartphone supports VoLTE, USB Type C (USB 3.1), NFC, etc. Moto M houses a battery of 3050 mAh and has fast charging feature.